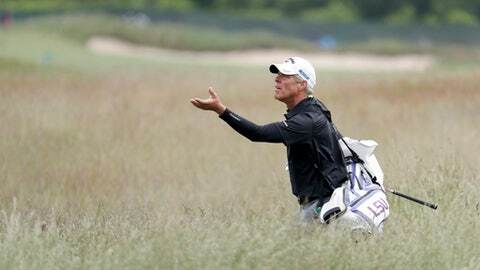 SOUTHAMPTON, N.Y. (AP) The U.S. Open lived up to its reputation in the return to Shinnecock Hills. Fresh off a six-shot victory last week, Johnson managed all aspects of his game Thursday on a classic U.S. Open course that required nothing less. He wasn’t perfect, but he was under par – barely – and shared the lead at 1-under 69 in an opening round of strong wind, high anxiety and scores that made this feel like a U.S. Open again. Phil Mickelson, Rory McIlroy and Jordan Spieth – the only three active players with three legs of the career Grand Slam – made only six birdies among them. They were a combined 25-over par, with Mickelson the low man in the group at 77. Woods ran into problems on the short grass – it took him three shots to reach the putting surface behind the first green on his way to a triple bogey, and he four-putted on No. 13 for the first of successive double bogeys.